Fair Lawn NJ is a borough of Bergen County. Since the town is only 10 miles from Manhattan the area is a suburb of the Big Apple. There is both rail and bus service in Fair Lawn, making it an easy spot for commuters to call home. Fair Lawn NJ is home to one of the first planned communities in the US, Radburn. This incorporated community was designed to embrace the car and was quite forward thinking for its time in the late 1920s. The motto for Fair Lawn supports its idealistic American roots, “A great place to visit and a better place to live.” Those who call Fair Lawn home keep their houses healthy and safe by enlisting the Bergen County mold testing services of Certified Mold Testing. In addition to being a strong residential area, Fair Lawn NJ is home to several large businesses. Easy accessibility makes the area ripe for corporate activity. Such as Nabisco (Mondelez International), the largest company in Fair Lawn. Nabisco’s facility includes both a bakery and a corporate office. In addition you will find technology companies, a global investigation company, and a large pasta company among others. Business facilities require healthy environments! Commercial mold testing ensures the structure of buildings and health of workers. The New Jersey mold testing services provided by Certified Mold Testing helps business owners and managers on top of any mold issues that may arise. The borough of Fair Lawn is considered a “great place to visit and a better place to live” because of all that it offers its residents. Here you will find a number of recreational facilities and parks, excellent schools, and a state-of-the-art Community Center. The Community Center is more than a place to come together with neighbors. It is a site to explore creativity, embrace new experiences and learn. Here you may see a play; take a writing class or enjoy great music. The opportunities available for all ages makes Fair Lawn NJ a great place for families to call home. Fair Lawn mold testing ensures that local community homes are free from mold, keeping families healthy and homes in good condition. Certified Mold Testing is the authority on mold testing in New Jersey and New York. Contact our team today to schedule a mold test of your Fair Lawn home. Keeping your home’s structure in good condition and your family healthy is essential. 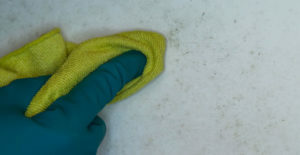 The detection of mold is the first step in eliminating it. 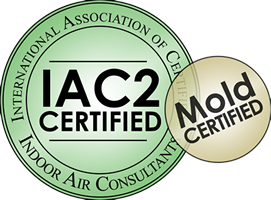 Our team is knowledgeable and experienced in mold detection throughout Bergen County and the entire state of New Jersey.